There have been many interactions with the origin of the Dark Knight and this is yet another Pre-Crisis take on that well showcased scene in the gloomy alleyway. This one interests you in a different sort of way. If you are not a fan of stories that mess with simple or classic origin stories then listen up as this is for you. There have been many instances in history of comics that change up what was a good and old origin story, if it’s Barry Allen actually gaining the Speed Force from some little magic creature or Peter Parker being connected to some Spider-Totem. In fact, this commotion went far and beyond from just the comic book realm as it also contacted the film industry. In Stark Wars it’s now a running joke how everyone is probably related to everyone else. Sadly, this comic is no different, but what if I told you that is okay? 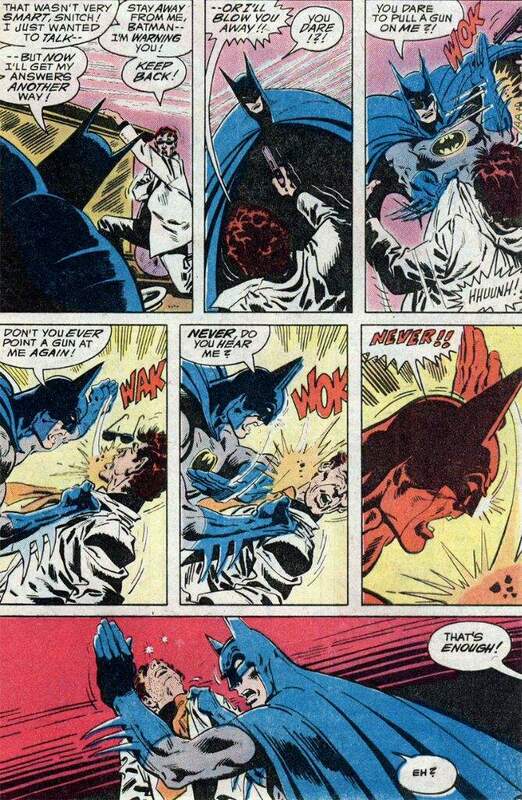 So yes the tale is very distracting at first and overcomplicates the classic Batman origin, but not only are there many parts of the retelling that work, like showing Bruce’s childhood after the death of his parents, or his teenage and young adult years, but also in the end it ties up in a wonderful conclusion. It gives us plenty of scenes we didn’t know we wanted to see, yet there still remain couple that don’t feel entirely right. Suits of both Robin and Batman get unnecessary introductions for goodness’ sake, but the comic isn’t just filled with origins. In fact, we open in modern day as Batman gets a message. This message not only hurts, but haunts the Dark Knight. You might think to yourself what kind of message manages to manipulate someone like Batman, still I leave that for you to read and discover. The Caped Crusader needs to find whoever is responsible for this disaster done to Bruce’s heart. The story right there pulls you in. The origins only correlate in throughout the main storyline which is something beautiful to see. How many comics show you the origin and then move on to the main plot? A ton! It’s like those comics treat it as a chore because they wanna get it over with, yet this graphic novel is different. Everything matters which by the end builds up to the climax and has the reader surprised. We get a retelling that as a huge Batman fan I disliked. Until now I am not fine with this change up, but in the grande scheme of things it works. It works to such an extent that when we find out the shocking twist behind the mystery, everything pays off. Yes, we also gain retellings of the Boy Wonder, Alfred and other allies that I won’t mention -so you can read it- and they work!! 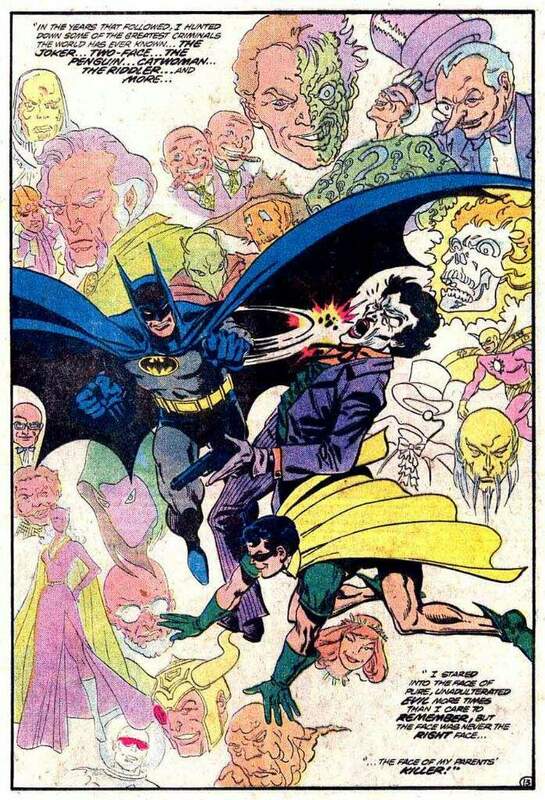 This comic exclusively stabs in staples of who Batman allies are today. Other than the “Batman classic foundation change-up” the remaining is key. At particular moments you can tell when the comic ages, but with a thrilling main plot and usage of these reinterpretations it pulls you in on a ride very quickly with bold and mostly affective writing choices. It also manages to answer important things like what things make Robin different from Batman or the distinction between law and justice. 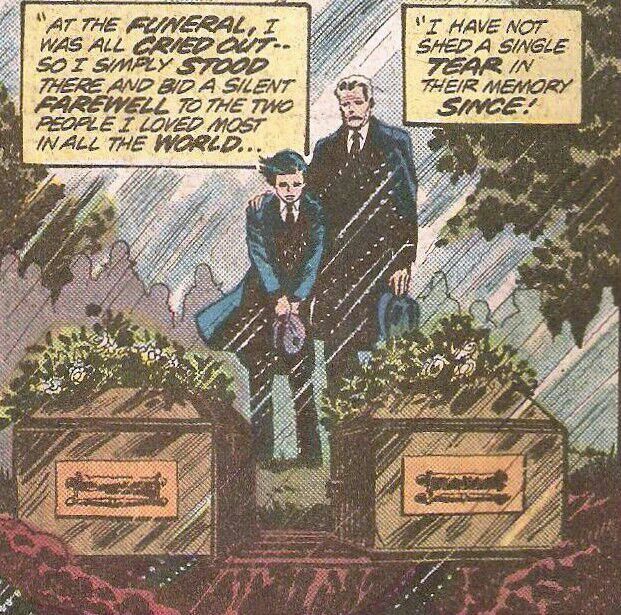 Even though Wein didn’t properly understand that sometimes the best stories are the simple ones, I can forgive the little meddling in the Untold Legend of Batman because thanks to the shocking ending that still holds up today, things that work outshine the ones that don’t. Together this story delivers as an unforgettable tale. Something every Batman fan should read for their good pleasure. Seven and a half out of ten. I’ve enjoyed these looks at some “classic” Batman tales! Your posts kind of make me want to go dig out old back issues or go pick up some TPBs from the era. The giant horns on the cowl! The vibrant blue of the costume! 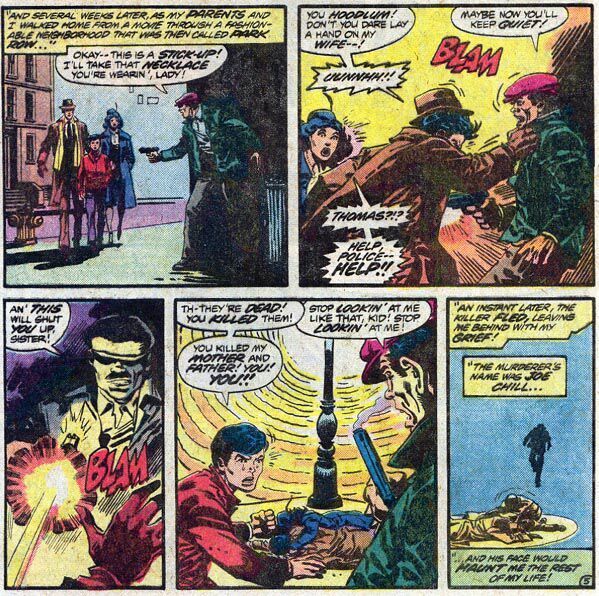 Maybe it’s personal nostalgia, but there’s something special about the art/coloring from the comics of the 1980’s. I have the first volume of the Batman golden age omnibus. It is interesting to see how this series developed, even within the first few months after its creation.